As a student of HagePlex, you are bound to know the following after your ICT Training in Mobile Mapping and GPS. GPS Office and Field Software Installation and Deployment: At the end of this module, you should be able to know how to install GPS Mobile Mapper Field and Office software applications. Before we jump into what Mobile Mapper Field and Office software application is, its important we give a simple description of the device we will use in training you. Ideally, we train our students with Ash Tech and Spectral Precision GPS and Mobile Mapper 10 Device. This device is pictured below. Perhaps you might ask the question- ‘Why training with this device?, Why not Gamin or other types of GPS?’ The answer to this question is Short and Simple. Ash Tech and Spectral Precision GPS and Mobile Mapper 10 Device is the world’s most sophisticated and most expensive GPS, Mobile Mapping and GIS (All in One) Device. It is the most recommended GPS and Mobile GIS training device in the world. This is why we tag our training with the name ‘Mobile Mapping and GPS Training’. (1) AMAZON:This device sells for US $1,495.00 at Amazon. This is approximately 550,000 Naira. Click HERE to Verify. (2) TIGER SUPPLIES: This device sells for US $1,195.00 at at Tiger Supplies. This is approximately 450,000 Naira. Click HERE to Verify. (3) EBAY: This device sells for US $1,395.00 at Ebay. Click HERE to Verify. You are assured to see many of this device when you visit our office located at Suite Pb9, Virginia Pavellion, FHA Junction, Kubwa, Abuja . Yes, you might be wondering why Ash Tech or Spectral Precision Mobile Mapper and GPS Training device is sophisticated and costly. This is because it has both GPS, Remote Sensing and GIS functionalities. Moreso, it is the only GPS device recommended for GPS and Mobile Mapping Training at advanced levels. At the end of this module, you should be able to know how to install MobileMapper Field 3.0 on this device. This device also have a MobileMapper Office 4.0 software which you will learn how to install on your local computer. This software has GIS and GPS post-processing functionalities. Mobile Mapping and GPS Programming and Configuration. At the end of this module, you should be able to know how to programme and configure the Mobile Mapping and GPS Device. This is oftentimes a prerequisite for employment in many Nigerian organization. Learning how to programme and configure a GPS is indeed, the first knowledge needed in your journey of becoming a Mobile Mapping and GPS Professional. GNSS Tool Box Analysis. The AshTech and Spectra Precision has a GNSS Tool Box. 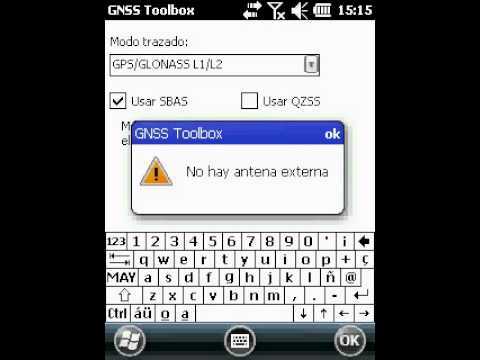 A GNSS Toolbox is a program designed to work with the following devices: – MobileMapper 10 – MobileMapper 100. At the end of this module, you should be able to know much about the GNSS Toolbox interface and how to analyse all its functions. Making Template Jobs with Mobile Mapping Interface. At the end of this module, you should be conversant with the mobile mapping interface. This entails being able to perform all operations contained in it. Creating and Editing and Managing GIS Data: At the end of this module, you should be able to create, edit and manage GIS Data on the Mobile Mapper and GPS Device. It is pertinent to note that the AshTech and Spectra Precision mobile like device was designed to integrate GIS, Remote Sensing and GPS operations. Its not just a device with GPS functionality. Backdrop Mapping with Google and OpenStreetMap with Mobile Mapper: At the end of this module, you should be able to integrate and manage Google and OpenStreetMap images on the Mobile Mapping and GPS device. GPS Deployment to Field Workforce: At the end of this module, you should be able to know the principles and best practice of GPS deployment to field workforce. This involves knowing the best GPS Practices for Maximizing Accuracy. 2D and 3D field data collection for point, Lines and Polygons: At the end of this module, you should be able to know how 2D and 3D field data are collected from the field. GPS Data Logging and Management: At the end of this module, you should be able to log GPS data in the Field and Manage GPS Data in the Office. Post-Processing and Synchronizing GPS Data to GIS Software: At the end of this module, you should be able to work with the Mobile Mapper post-processing software. Also, you should know how to synchronize a GPS Field Data to a GIS Office software such as ESRI’s ArcGIS, Quantum, Grass and MapInfo Professional. Thanks for Reading. Please Checkout our Related Articles on GIS and Remote Sensing Training.